This entry was posted in General Conference Calls and tagged Andys Away, Andys Live Show, Gina Hawks, NAA, National Agents Alliance, Preston Sockwell, The Alliance, The Live Show, The Wednesday Call Live, TWC, War Parties. Bookmark the permalink. The Wednesday Call Live (TWC) for June 19, 2013: This file is an audio recording of Andy's Live Show. If you would like to access the video version, check out the NAAtv Live Archives! The Live Show will air again on June 26, 2013 at 12:30 PM ET. The Wednesday Call Live (TWC) for March 26, 2014: This file is an audio recording of Andy's Live Show. If you would like to access the video version, check out the NAAtv Live Archives! The Live Show will air again on April 2, 2014 at 12:30 PM ET. The Wednesday Call Live (TWC) for March 26, 2014: Andy Albright hosts a live conference call and meeting from National Agents Alliance Headquarters in Burlington, NC! Andy's live show covers all kinds of great topics, including training, information on team building, new developments that are in the works, and frank discussions with your fellow agents (beginner and top level managers alike!). If that wasn't enough, the live show also provides motivation and encouragement that will help get you fired up and ready to roll! Be sure to tune in and take advantage of the great info in today's Wednesday Call. All Star War Parties are here! Tune in to this very special TWC to see the east coast War Party group kick it at headquarters in Burlington, NC! The Wednesday Call Live (TWC) for November 20, 2013: This file is an audio recording of Andy's Live Show. If you would like to access the video version, check out the NAAtv Live Archives! The Live Show will air again on November 27, 2013 at 12:30 PM ET. 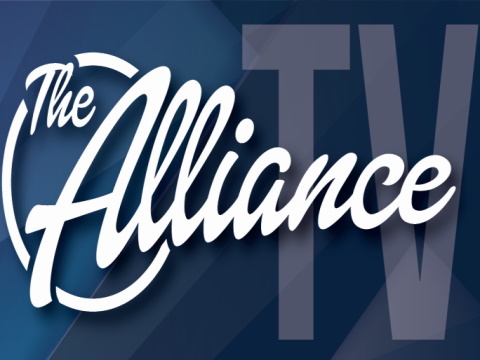 The Wednesday Call Live (TWC) for June 26, 2013: Andy Albright hosts a live conference call and meeting from National Agents Alliance Headquarters in Burlington, NC! Andy's live show covers all kinds of great topics, including training, information on team building, new developments that are in the works, and frank discussions with your fellow agents (beginner and top level managers alike!). If that wasn't enough, the live show also provides motivation and encouragement that will help get you fired up and ready to roll! This week, Andy is away, so the staff is holding down the fort! Matt Taflan has some special segments of Andy for us, and brings in some fellow staff members to give some info. Alliance Eventures has overflow tickets available for the 2013 Leadership Conference along with some great new features - Remote registration at the hotels, and shuttle transport to and from National Agents Alliance HQ! Gina Hawks is also in the house with some great information on Mutual of Omaha's Children's Whole Life product. "I hear the stories of the lives I impact and it fuels me." - Andy Albright. The Live Show will air again on July 3, 2013 at 12:30 PM ET. The Wednesday Call Live (TWC) for June 19, 2013: Andy Albright hosts a live conference call and meeting from National Agents Alliance Headquarters in Burlington, NC! Andy's live show covers all kinds of great topics, including training, information on team building, new developments that are in the works, and frank discussions with your fellow agents (beginner and top level managers alike!). If that wasn't enough, the live show also provides motivation and encouragement that will help get you fired up and ready to roll! This week, Andy is away, so the staff is holding down the fort! Matt Taflan has some special segments of Andy from the War Parties for us, and brings in some fellow staff members to give some info. Preston Sockwell discusses new qualifiers, Kristin Griffin talks about HotSpots and asks Gina Hawks how you can have her come and speak at your meeting, and the Lead Performance Team's Wendy Brunick gives details on all of National Agents Alliances updates for our new agents. "We want people to feel they made a difference for the people they love the most, friends and family." - Andy Albright.